The week kicks off with a Whiskey Tasting event at 7pm on Monday 24th October and is a must for whiskey lovers. Host Gerard Garland, Irish Distiller’s Whiskey Ambassador, will present a single pot still evening sampling a selection of their finest brands, accompanied with complimentary finger food and live music from Paddy Jordan. On Wednesday October 26 it is time to test your knowledge with a table quiz hosted by Galway Bay FM’s Ollie Turner. A table of four costs €50 and it promises to be a fun night for all involved. Be sure to round up a group of your work colleagues, family or friends as there is a prize for the winning team, along with spot prizes on the night. To celebrate Halloween, Blake’s Corner Bar will be serving a spooktacular ‘Zombitini’ on Sunday October 30. The cost of each cocktail sold will go directly to the charity, and there will also be a few tricks and treats in store on the night. A selection of the staff from Blake’s Corner Bar will also take part in the ‘Westport Sea2Summit’ adventure race on Saturday 12th November with sponsorship cards left in the bar for anyone who’d like to support the team taking on this endurance challenge. There will also be a raffle running all week with some fantastic prizes up for grabs including a signed Connacht Rugby jersey, hampers and vouchers. 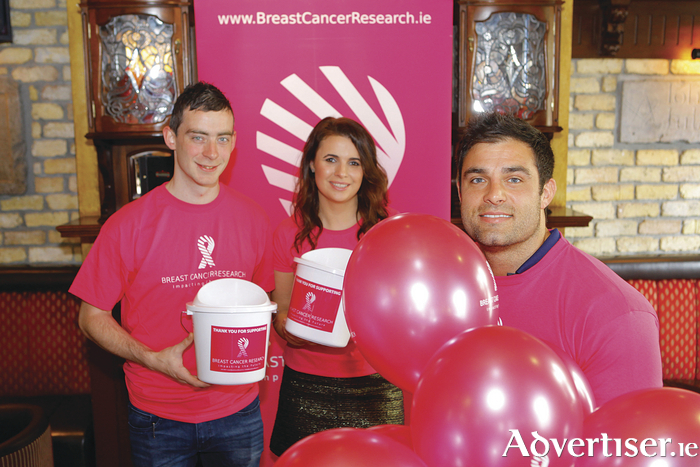 All proceeds from the charity week will go directly to Breast Cancer Research, which is a national charity celebrating 25 years of positively impacting future outcomes for breast cancer patients by funding world-class breast cancer research at NUI Galway. For further details follow Blake’s Bar on Facebook or Twitter, and to book any of the charity events call (091 ) 530 053, visit the bar on Eglinton Street or email [email protected].